This is the final OCVarsity Student Section of the Week for the 2018 football season. 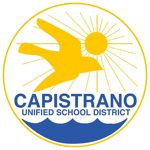 It seems like yesterday we gave the Week 0 award to the Capo Valley Cage. I guess this is a case of deja vu. 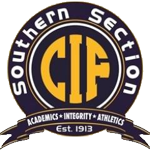 There were only 10 teams from Orange County competing Friday night in CIF-SS semifinals, as several of the powerhouse student sections saw their football teams eliminated in the quarterfinals and were already filling up the stands for basketball games. So only three sections make this week’s list of finalists for the OCVarsity award. The Tigers Den showed up and represented for their Tigers in their CIF-SS Division 7 game Friday against San Jacinto. The Tigers took a season-ending, heartbreaking 28-21 loss. It was a fantastic showing by the Tigers Den and even better showing from the Valencia Tigers! The Black Pack came in full force and may have rattled Grace Brethren of Simi Valley early on, allowing the Spartans to take a big lead early on.